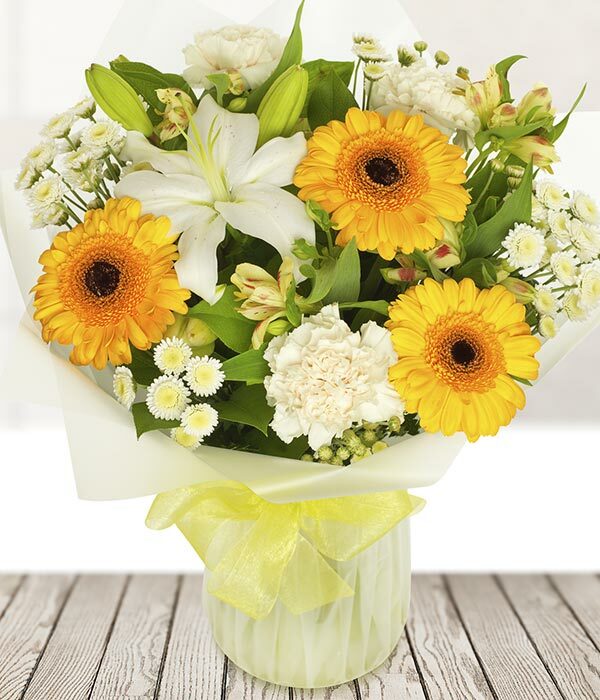 White and yellow flowers are the match made in flower heaven. 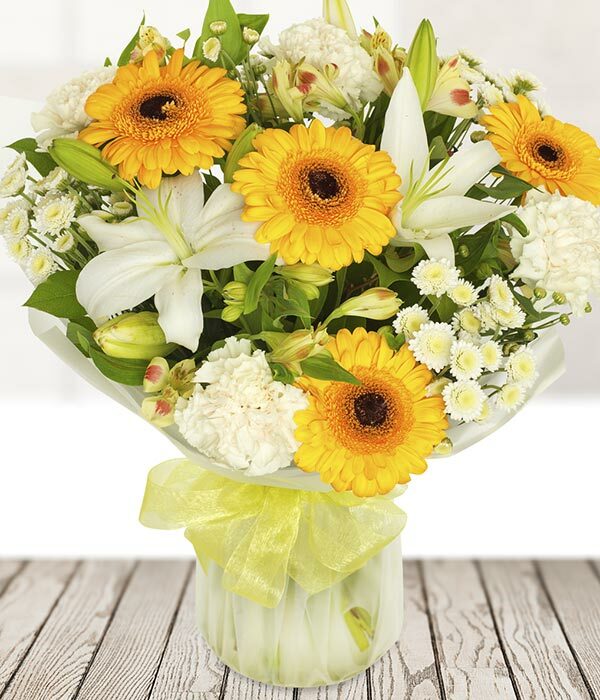 Yellow gerberas and white lilies are the key flowers in the is sunshine filled bouquet. 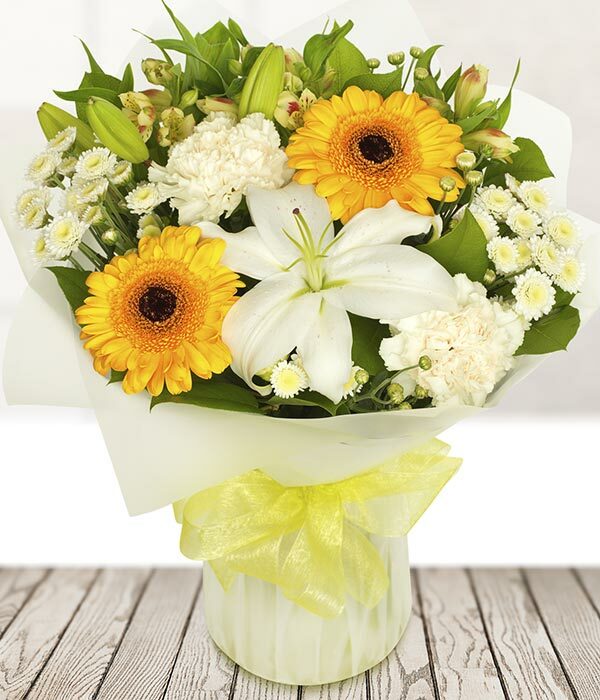 Finished off with alstroemeria and carnations. Delivered by a local florist.